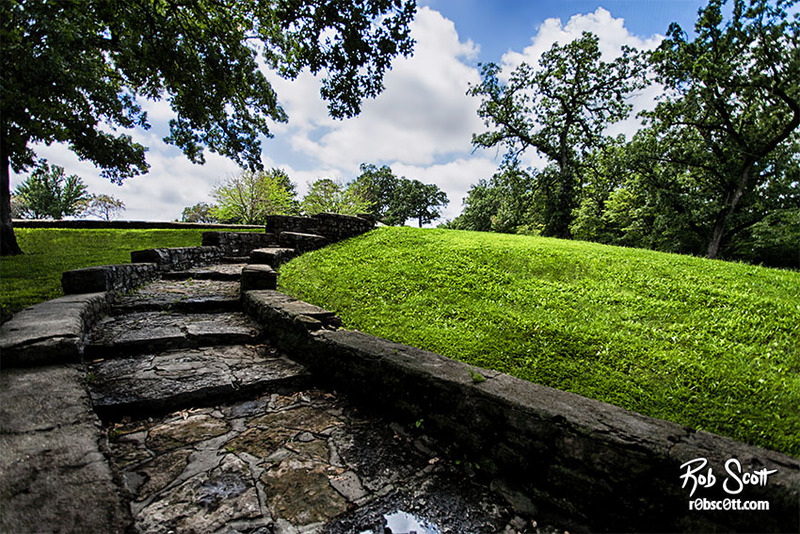 Located between the Swope Memorial Golf Course and the Swope Memorial, these stone stairs are absolutely incredible. I believe they were built around 1915 as part of the initial construction of the Swope Memorial. The stairs are the first steps towards the memorial from the parking lot, and provide the sort of ‘this is the way to where you are going’ feel that you would expect to lead you to the memorial for the parks namesake.